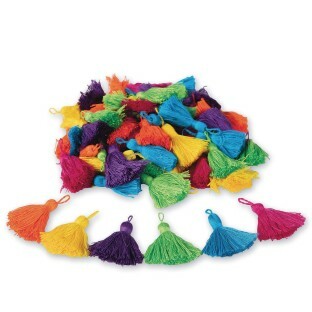 Floss tassel assortment perfect for accenting weavings and macramé, banners, pennants, jewelry, and more. Twelve pieces each of 6 colors: green, blue, purple, yellow, orange, and dark pink. 72 total pieces. Each approx. 2”L (5cm).